Are you currently renting a home? Do you think you could ever own? Are you tired of paying your landlord’s mortgage? And this is to say nothing of some of the other financial benefits that traditionally come with home ownership. For instance? When you purchase your home, you are making an investment and building equity; there’s a reason why consumers have named real estate among the top possible investment avenues, for years and years now. Similarly, when you own a home, you typically lock into your mortgage for years, if not decades. This means that what you pay will remain steady, rather than increasing year over year – as rent costs typically tend to do. And finally, when you own a home, you have a far greater level of control than you do when you rent, in most circumstances. For all these reasons, and more: If you have the down payment and you’re paying as much or more than a mortgage on a similar property – it could be a good time to consider purchasing. 1.) What is your employment outlook? If your employment situation is stable, and/or your career has ample job opportunity, it might be a good time to look at home ownership. If you feel there is a change coming in the wind within your industry, it’s good to consider how this will impact your housing future. 2.) How long do you plan to stay? If you plan to remain in your home for at least three years, then experts tend to agree that it’s often a good idea to buy. If you plan to stay for longer, it becomes a great idea – and you can take advantage of all the benefits home ownership has to offer. Some of us know we will never leave a community – the ties are too strong. (That’s certainly how the Gunderson team feels about our home in Chicago!) Others of us are more intrigued by change and like to leave options open; in this case, you may prefer renting, which offers greater flexibility and opportunities to relocate quickly. 3.) Are you considering any upcoming lifestyle changes? Marital status. Will you still like living where you are now when your marital status changes? Career. Is a potential career change going to change your income? Will you need to move? Family size. Are you planning on having children? Are your parents getting older and possibly living with you? 4.) How much difference is there between the costs of home ownership and your current rent? Residential mortgage interest and property taxes can be deducted on your taxes, effectively lowering the cost of owning a home. Similarly, as we mentioned earlier, in many cases, it is actually going to be less expensive month-to-month to own a home, rather than rent. Consider the market value of your residence, and the amount that you’re paying in rent per month. Does the balance seem fair? Consider that you are buying that property for your landlord with every rent check you write. In other words, they’re gaining equity, and you have nothing to show for your hard work. 5.) Could you rent the property out? Having the flexibility to rent if your plans change can be helpful, and may help minimize the risk of purchasing. Historically, during real estate downturns, rental rates tend to increase, which could offer you a financial advantage in the event of a loss of income or a lifestyle change. One thing to keep in mind? If you will be buying a condominium or anything with a homeowners association, there may be restrictions preventing owners from renting out their units. If this is an important aspect of ownership for you, be sure to check out any potential rules and restrictions ahead of time so you know your options. 6.) Are you looking for a change in your quality of life? 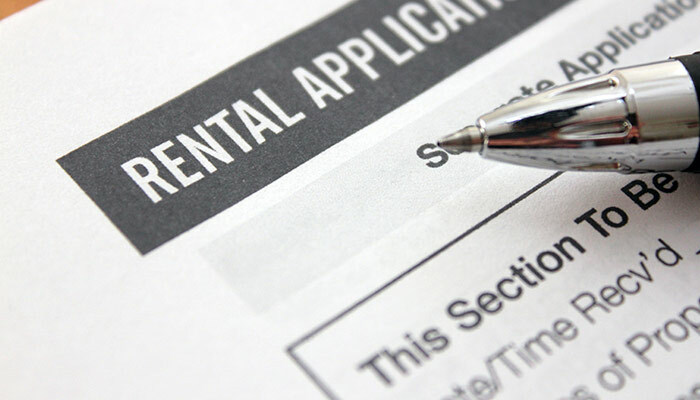 Are there current restrictions on your lifestyle because you are renting? Many landlords do not allow pets, or they restrict certain activities such as gardening or working on art projects and other hobbies. If you have a passion for something, and you are restricted from enjoying it due to lease provisions, it might be time to buy. Not sure whether owning a home might affect your lifestyle? Consider this: Investor and philanthropist Warren Buffett suggests that consumers write down 25 goals they have in life, then circle the top five, in order to focus on those and forget the rest. When you do that exercise, what does it look like if you own a home? For instance, some of our goals are more oriented towards stability. For others, having a more flexible lifestyle might be more important.Bear in mind that home ownership can change your life – and knowing how it can change your life ahead of time, may help you save time and money. Ready to talk about the ins and outs of Chicagoland real estate? Bear in mind that our goal here is not to sway you in any direction. There are certainly many advantages and disadvantages to both owning and renting, and the best choice for you will ultimately come down to any number of unique personal factors. Are you curious about what it takes to rent or buy in the Chicago area? Curious about how real estate laws might affect you? Ready to ensure that you have a partner on your side, who can help you get your paperwork in front of the right people at the right time? In the process of purchasing or selling a property and looking for professional legal guidance to help make the process go more smoothly? Don’t hesitate to get in touch whenever you’re ready to talk shop.